According to the Healthy Living Alliance (HEALA), nearly 70% of South African women and 39% of South African me are overweight or obese. Also, South Africa has the highest obesity rate of any in sub-Saharan Africa. With obesity at an all-time high, more people than ever are looking for safe, effective ways to lose weight. That doesn’t mean that everyone will be successful as some people naturally have a harder time dropping weight than others. If you are interested in losing weight but have struggled with keeping it off, the answer could be right inside your kitchen cabinet. It seems that apple cider vinegar and weight loss go hand in hand. Here’s how to use apple cider vinegar or ACV to help you shed those unwanted kilograms. When it comes to weight loss, apple cider works in more than one way to help you shed body mass. 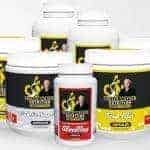 As such, it provides you with a multi-faceted approach that does not require taking several different types of supplements. 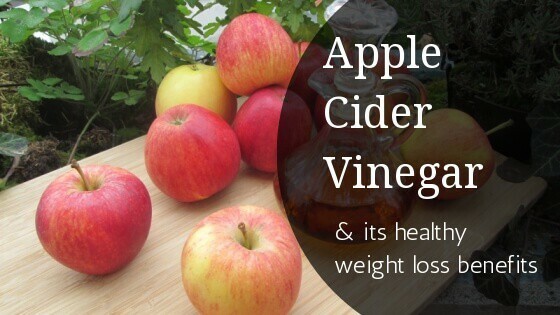 The fact that apple cider vinegar helps with weight loss has been well documented for centuries. Recent research confirms what ancient health practitioners have known for years, and that is the fact that apple cider vinegar promotes weight loss by controlling the appetite. A study performed at Arizona State University in the U.S. showed that individuals who consumed apple cider vinegar daily took in on average around 275 fewer calories than their peers. In another Japanese study, subjects who consumed two tablespoons of apple cider vinegar daily lost an average of 1.8 kilograms over 12 weeks. This weight loss occurred even though participants did not change their diet or lifestyle during that time. That’s because apple cider vinegar does not increase metabolism, but it does assist with digestion and helps break down fat stores. Other research suggests that consuming apple cider vinegar helps with satiety. In other words, you will feel full sooner and will not feel the need to eat quite so much. The fact that it helps you feel full makes it the perfect supplement if you tend to snack more often than you should. Apple cider vinegar suppresses the appetite in a manner that does not leave you feeling jittery like some dietary supplements do. ACV has a direct effect on the body’s insulin production. It lowers blood sugar levels by controlling the way in which glucose enters the body. At the same time, it decreases insulin resistance, which is something that can directly affect fat stores. This means that apple cider vinegar can not only help you lose weight, but that the weight you do lose is more likely to be fat rather than muscle. Since apple cider vinegar helps control blood sugar, it is especially useful for diabetics who would like to lose weight. Type 2 diabetics, in particular, could notice a reversal of their symptoms just from losing weight, and the fact that ACV also helps control blood sugar makes it a win-win. Some evidence suggests that apple cider vinegar is especially helpful at reducing visceral fat, or deep layers of abdominal fat that many find so difficult to get rid of. Remember that total body fat is only one part of the equation-where you carry it also makes a difference. High levels of visceral fat can lead to an increased risk of stroke, diabetes, and heart attack. Accordingly, physicians recommend that your waist circumference be no more than half of your body’s height in inches. Apple cider vinegar promotes a healthy gut and actively aids in the digestive process. This means you are less likely to have undigested matter clogging up your small intestine. Irregular bowel movements can result in an additional 0.9 to 2.7 kilograms of waste being held in the colon. You may lose a few kilograms shortly after beginning an ACV regimen. If so, it is likely due to a cleansing of faecal matter from the colon. Bear in mind that regular consumption of apple cider vinegar makes it less likely that excess deposits will reappear. Lowering bad cholesterol levels and increasing good cholesterol levels. Apple cider vinegar may even help clear plaque from the arteries, thereby reducing your odds of a heart attack or stroke. Increasing alkalinity levels, which is something that could help you fight cancer. Some research suggests that it may also slow the rate at which cancer cells divide and could even shrink tumours. Detoxifying your liver and colon, ensuring they function at peak capacity. Preventing osteoporosis. ACV increases the rate at which your body absorbs calcium, leading to fewer brittle bones. Fighting harmful bacteria to strengthen your immune system. This will help you fight off some diseases and even the common cold. Aiding with acid reflux disease. Surprisingly, the acid in apple cider vinegar actually neutralizes stomach acid better than many over-the-counter medications. Helping with arthritis pain. ACV can help ease the inflammation that is often associated with osteoarthritis, rheumatoid arthritis, gout, and other similar conditions. Eliminating toenail fungus and athlete’s foot. Simply soak your feet in apple cider vinegar to take advantage of its antiseptic properties. Improving blood sugar levels for those with Type I or Type II diabetes. In fact, apple cider vinegar is often as effective as many other blood sugar stabilising medications. Fighting a sore throat. Gargling with a bit of apple cider vinegar and salt will soothe even the most inflamed throats and tonsils. Apple cider vinegar provides health benefits without the unwanted side effects that come from taking many medications. As such, it is the perfect option if you would like to improve your health but are not keen on the idea of taking prescription drugs. ACV is also a very inexpensive option that is readily available. You can buy a bottle of raw, unfiltered apple cider vinegar at nearly any supermarket for only a few dollars. With apple cider vinegar being so affordable and easy to obtain, you really have nothing to lose except a few extra kilograms and some unwanted health problems. Simply drinking apple cider vinegar is not enough for you to notice significant weight loss. To truly meet your goals, you will need to take in fewer calories and engage in regular exercise. That doesn’t mean that ACV cannot be an effective tool to use to boost your efforts. When taken properly, apple cider vinegar can provide you with the additional help you need to lose weight and keep it off for good. When taking apple cider vinegar, it’s important to note that not all kinds of vinegar are the same. As such, you should look for raw, unfiltered, unpasteurized ACV that contains “the mother.” Apple cider vinegar with the mother present will appear somewhat cloudy. That cloudiness is due to powerful enzyme strands that provide the vinegar with its healing properties. Apple cider vinegar is very acidic, and should not be taken straight. Drinking it straight from the bottle can burn your mouth, oesophagus, or stomach. Instead, you should dilute around a teaspoon or so of vinegar in a glass of water and mix well before drinking. If you do not like the taste of the vinegar, you can add a bit of honey to make it go down smoother. However, most people find that they eventually acquire a taste for apple cider vinegar and can consume it without anything extra added. Drink the vinegar and water mixture once or twice each day for best results. Try one glass in the morning with breakfast and another just before your evening meal. Alternatively, you could also drink one glass mid-morning and another one along with an afternoon snack. When deciding when to take apple cider vinegar, the time of day in which you take it is not important. What does matter is that you are consistent in using it? Be sure to rinse your mouth with clear water right after consuming apple cider vinegar. This will ensure that the acid in ACV does not damage tooth enamel. Alternatively, you could also drink your vinegar and water mixture with a straw. Apple cider vinegar can burn the delicate membranes of your body. As such, you should take care not to splash any into your eyes or get it in your ears or nose. If you do get ACV in your ears, nose, or eyes, rinse the area immediately with cool water. The acid in ACV may break down vitamins or certain medicines in an unusual manner. Accordingly, you should not use water mixed with apple cider vinegar to take any pills or medications, including herbal supplements. After meeting your weight loss goals, you may want to continue drinking apple cider vinegar for its other health benefits. Doing so could help you avoid regaining some extra weight back in the future. When using ACV for maintenance, you may find that one glass per day is all that is needed. In addition to drinking vinegar, you can also add it to your favourite recipes. Use it in your favourite salad dressings and sauces, and it will add zest to nearly any dish. You may decide you like raw, unfiltered ACV better than the pasteurised version you previously were using. ACV is one home remedy that has stood the test of time when it comes to helping people lose weight and improve their overall well-being. Though others have had much success with apple cider vinegar over the years, you’ll have to try it for yourself to realise its true benefits. Only then will you appreciate the real apple cider vinegar health benefits. Sign-up below to receive the latest from the blog and special promotions!